Every once in awhile you have to put education on the back-burner and simply relax and have fun. LAF Tech totally supports this notion. 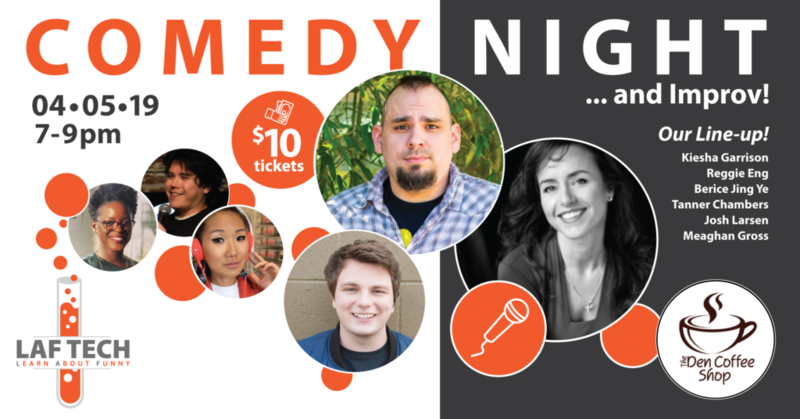 We bring some of the Pacific Northwest’s finest comedic talent to local venues. While our intentions are good, honest-natured fun; we can’t help but also point out to our audience that each and every one of these comedians are also presenters who have trained and practiced for years developing their own mix of humor. We will never teach LAF Tech attendees how to become comedians, but once you learn “The Six Methods of Humor™,” you’ll begin to identify these methods even through comics on stage. We're pleased to now have (2) Venues to offer our LAF Tech Comedy Nights at! Check back here monthly to see who's going to be on stage! Tickets are $10 per ticket at the door or online! The Den Coffee Shop in downtown Bothell, click through the image to RSVP on our Facebook Event, and purchase your tickets by following the Buy Now link below! Our Decibel Brewing location is in uptown Bothell. Get your tickets today, and bring a friend! NEW FORMAT FOR 2019! SIX AMAZING PACIFIC NORTHWEST COMICS FOR THE SAME $10 PRICE! Come back here regularly to see where and when our next Comedy Night is! Or click HERE to visit our Facebook Events page! 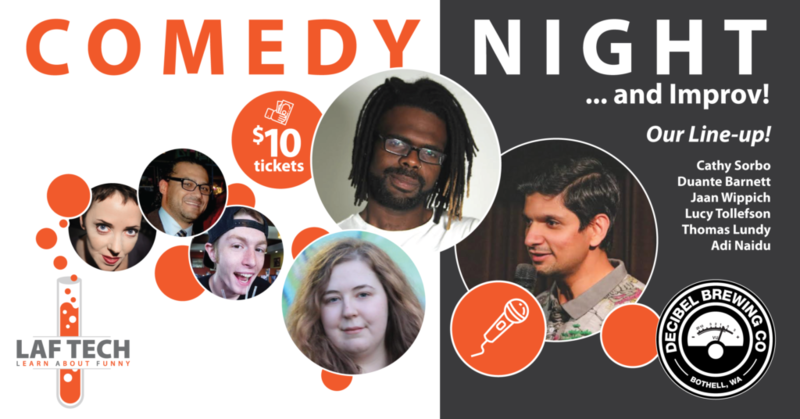 Check out our previous comics we've showcased at our Comedy Nights! If you are a comic, and would like to be considered for a set at one of our Comedy Nights, please reach out to us! We'd love to LAF' with you!